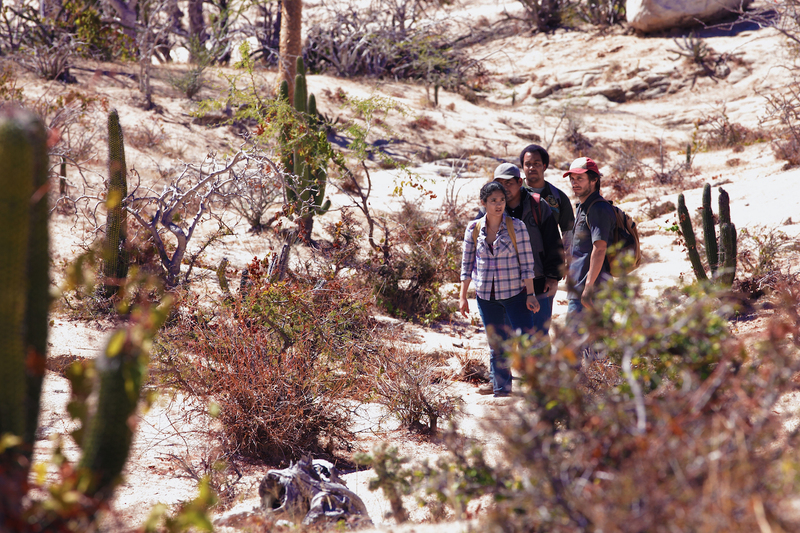 Jonas Cuaron is the son of acclaimed director Alfonso Cuaron, which becomes an ‘ah ha’ moment after you watch Desierto, dislike it, and wonder how such a young guy got such a stellar duo in his swing-and-miss film. That this movie misses the mark will become readily apparent to most audiences; it simply isn’t very good. Which makes you wonder, perhaps unfairly, whether Jonas got a leg up in making an ultimately poor-quality film with high-quality actors because he’s Alfonso’s son. Again, perhaps that’s unfair or simply rude speculation, but it’s a question that pops up fairly quickly after watching the film and then understanding who the filmmaker is. The cast deserved a better movie and a better director; we’ll see if he gets another shot. Desperate to make the incredibly difficult (and of course illegal) journey from Mexico into the United States, a group of people with nothing to lose travel cross-country to reach a new home and, hopefully, a better life. For various reasons, these refugees/illegals/aliens, whatever term you choose to use, cannot cross at the border, won’t be allowed, and so risk the dangerous trek across the desert for a paid price and with no guarantee. When this particular group’s hired truck breaks down, they are forced to go on by foot, traveling through the badlands and hoping to avoid notice. The border patrol are ever-present, and the ranchers aren’t friendly either, so off they go into the wilderness, with nowhere left to turn. One native in particular, one very angry, lonely man, has taken it upon himself to rid his once-loved home of uninvited guests. 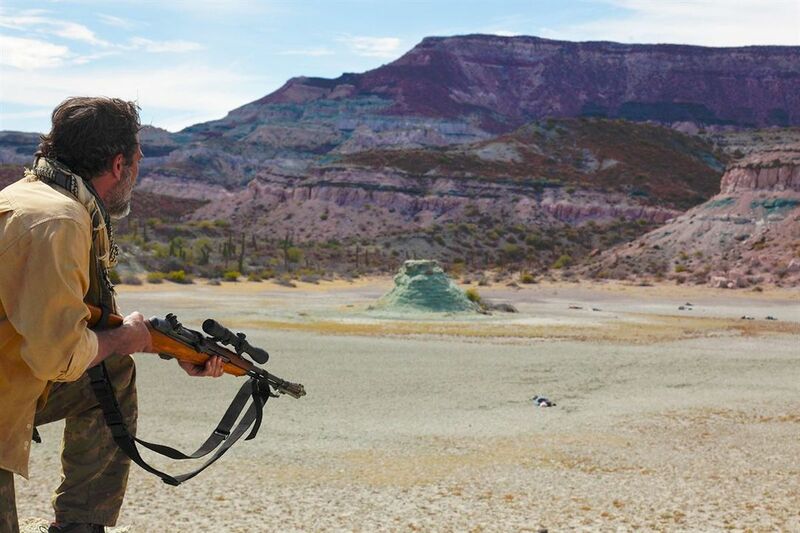 He sets out hunting with his faithful dog Tracker, picking off rabbits, sure, but he doesn’t become shy when he discovers Mexicans crossing through the scrub with all their possessions strapped to their backs. Shockingly, he begins to pick off the travelers one by one, shooting them down as if they were pheasants in a field. A group of five, who were slow and had begun to straggle behind the main body, turn and run, hoping beyond hope that this crazed man and his dog might leave them in peace, perhaps might lose them in the canyons, or maybe might even remember that they are humans, not creatures that deserve eliminating from this land. The positives first, and they are mostly Bernal. Curious audiences will quickly wonder why he’s even here; his talent rises above the film from the very start. He’s simply better than this, has done so much better than this, and was even making films at the same time as this one that required much more concentration and skill. Perhaps he knew he could syphon off a little for a movie that wouldn’t demand much other than a few hot days on set, and then again maybe he signed on because of Alfonso Cuaron. Whatever the reason, he was the bright spot, and we can assume he saw this dub coming a mile away, but just did it any way. I also enjoyed Morgan as a villain, he fits that role very well, has played it before, and could almost phone in a performance, apart from what must have been a fairly difficult location at which to work. Bernal and Morgan were solid in their parts, even though they can’t have been forced to stretch their abilities much. For one, their lines were infrequent and mostly terrible. I understand the simplicity of the movie, I appreciate that the story is self-contained, doesn’t need flash blacks and dream sequences. But Cuaron forgot to write in drama, and then forgot to direct. There were moments that you could pin as dramatic, but they were completely recycled and didn’t bring anything new to our screens. The film felt extremely amateur, from the action sequences to the ending, coming across as an experiment gone wrong rather than a name film that we were supposed to take seriously. Video – With an aspect ratio of 1.85:1 (1080p HD Widescreen), the video quality of this film is good for the medium, and probably should be considered one of the highlights. The desert was shot beautifully, with breathtaking images all around, and you could really almost feel the heat. The crisp picture was a nice foundation, though the rest of the movie never could live up to the caliber of the Blu-ray disc. Audio – The Blu-ray was done in English DTS-HD Master Audio 5.1, with an option of Descriptive Video Service Dolby Digital 2.0. Subtitles are available in English SDH, Spanish, and French. The majority of the movie is in Spanish subtitles, with only a smattering of English. It felt backward somehow, and a smarter way to make audiences feel the language barriers and the differences inherent between the hero and the villain must have been out there, Cuaron just didn’t catch it. 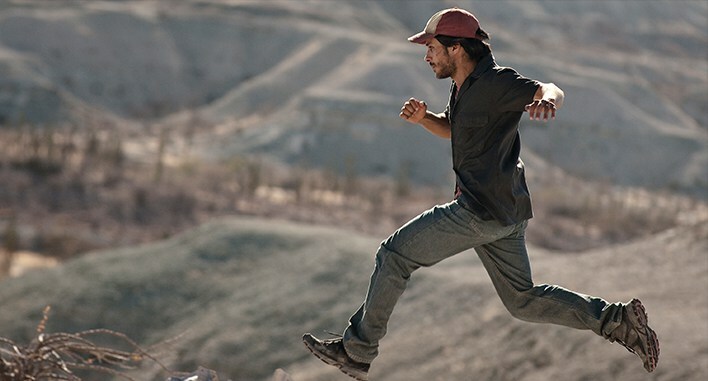 Extras – The film’s bonus feature is the ability to watch with commentary from director/writer/producer Jonas Cuaron. Rent It. In a strange paradox, so many common theatrical elements seemed to be presented in this film, and yet it seemed never to grasp what makes a movie a movie. A backstory was attempted, but failed. Empathy was meant to be shared, but never developed. The action was supposed to be exciting, but instead it constantly fell flat and felt forced. 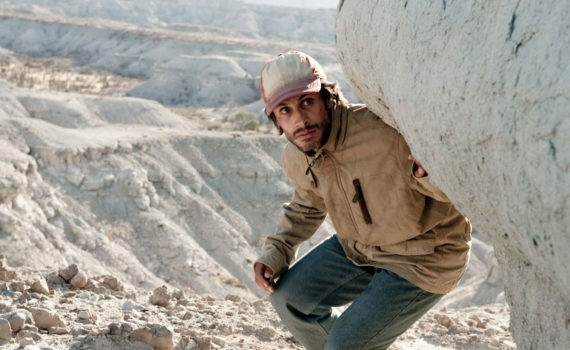 Desierto is neither believable nor well-made, instead trudging along as a story about the hearts of men without delving into those same hearts and shedding light of what lies hidden. The video was quiet solid, the audio was OK, and there isn’t much in the extras department. I was pretty disappointed in this film, to say the least, and I put a lot of blame on Cuaron’s shoulder. He’ll have to make up for it in his next project if I’m to eat my words, but as it stands, I have my doubts about his capabilities.